It's been an eventful week – the weather changed from spring to “winter” to spring in a day or two (sort of "wonder" ful) and new lives entered my world (truly "wonder"ful!). At this time of the year, my life has revolves around my broodmares. 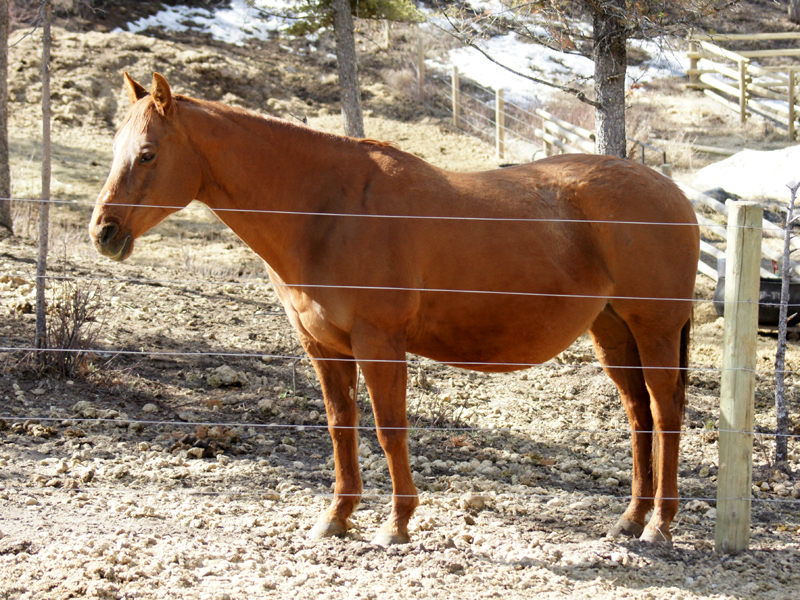 Four mares, heavy in foal, are my life. I bred them and cared for them. Now I ask that they deliver strong, healthy foals and I promise I will be there for them when they do. I was. Last Tuesday (only six days ago), a spring snow storm swept through the Chilcotin, covering my property with a chilling, icy blanket. I had penned three of my mares across from the house where I could watch them closely, only guessing which would be the first to foal. Now, in swirling snow, they clearly were begging to be taken to the barn. I got the camera out and the montage below is the result. Destiny, Easter and Prima - broodmares in the snow. That night, two hours past her 18th birthday, in a warm stall in the barn, Destiny delivered a stunning bay colt, the first for my young stallion, Walking With Wolves. 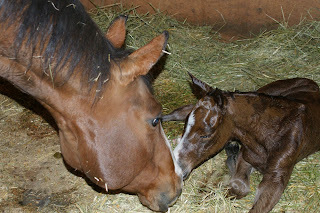 I was sleeping in the tack room only steps away and I was there when Wildwood N Whiskey entered the world into my arms. “This never gets old and it is always, always a miracle,” I thought. Whiskey wanted to get up right away. He had no time for me at all. He just wanted to rise and run. Destiny whinnied softly to him a few times, then struggled to her feet, turned and licked him. Soon, though, she lay down again, uncomfortable until she expelled the afterbirth. This was Whiskey’s chance. As his mom rested in the straw, he tried out his new legs – popping up in one move, then trying to run and jump - a little awkwardly, of course. I laughed at him. Since I wanted to stay up until Destiny had cleaned and Whiskey had sucked, I made a quick trip to the house… and came back with a glass of wine! There, in the stillness of night, I sat on a salt block in the corner of the stall, sipped wine and marveled at the pureness and wonder of what I had, again, witnessed. “It just doesn’t get any better than this,” I said out loud. I thought Easter was going to foal the next night. She stopped eating, stood uncomfortably in the corner of her pen and showed all the signs of being in the first stage of labour, but no foal that night nor the next day or the next night. 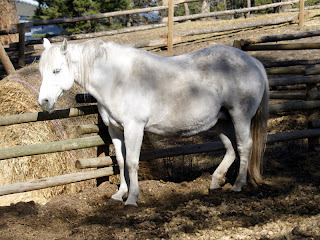 At 7:00 AM on Friday morning, after hour checks all night, when I went to get her from her stall, I could see she was going to foal. As I led her to a grassy area, her water broke. I waited. Nothing. Knowing a little about mares foaling, I knew this was not good. When a half hour had passed, I phoned Louise, another horse person a few minutes away. “I think I have a problem,” I told her. We discussed the situation and decided I would call back in 15 minutes. We knew what we had to do. We had to see what was going on inside because there was absolutely no sign of a baby nor was she trying to foal on her own. What we found out was not good – the foal was upside down! I had seen movement so I knew the baby was still alive, but since I am 100 km from a vet, the best approach (if it worked) was for us to try to pull the foal. It was not easy, but after close to an hour, we did. Wildwood Timber Wolf arrived into our laps from the womb of his exhausted mother. I cried – with relief, with raw emotion. I was fully prepared to lose this foal, yet there he was! Not only alive but strong and raring to go. 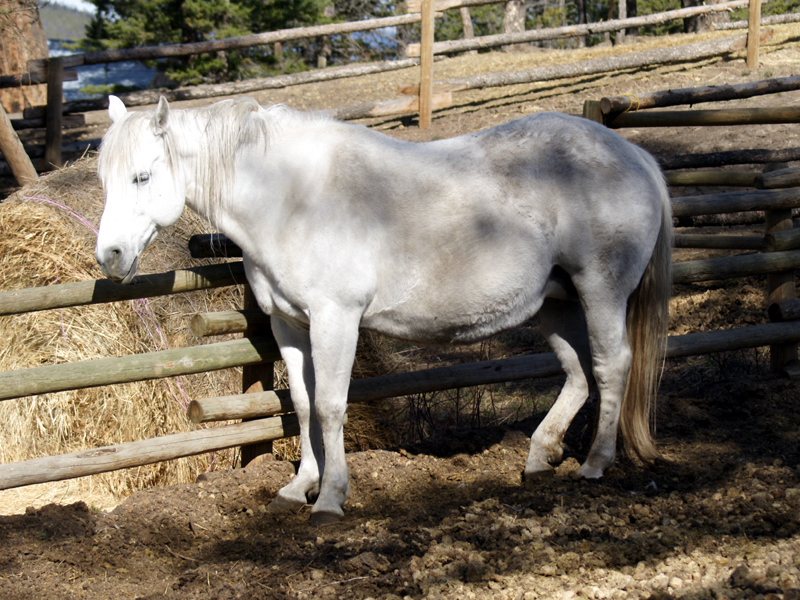 He was up before his mother, touring the round pen with all the courage he had used to enter the world. Easter, Louise and I had a higher power helping because, against all odds, mother and baby are doing well. And Timber was born on Easter’s birthday! His name should have been Wonder. It's a wonder he's alive, a series of wonder-ful, lucky breaks that helped Louise and I deliver him. It could have turned out very differently but, after all, it was a week of wonders. No – not Christmas. 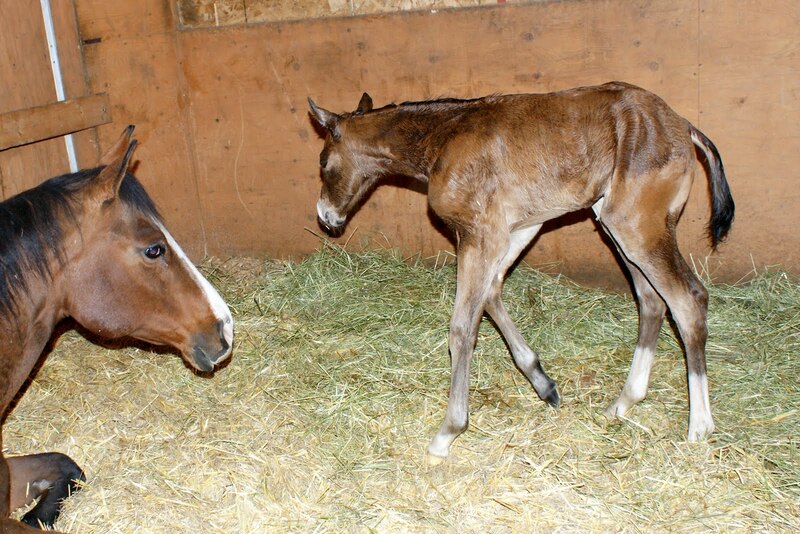 The most wonderful time of the year for me is foaling time. And that time is now! 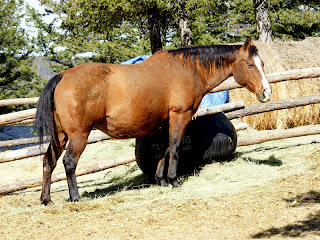 Four of my mares are preparing to add to my herd. A year of planning, breeding and waiting is coming to fruition in the next few weeks. For me, time almost stops as I wait it out for the new babies. 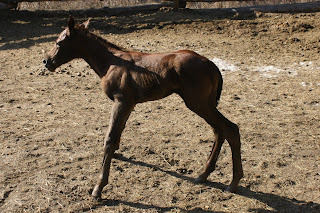 I go through the motions of feeding, riding and spring work, but only one thing is on my mind – new foals, new life. Although it’s a waiting game now, things could get pretty busy – downright hectic – really fast. The first three mares – Destiny, Prima and Easter – were bred to foal about ten days apart but it looks like they are going to be very close together. Only time will tell of course, but Destiny (due tomorrow) doesn’t appear to be on time while Prima looks close to “on time” and Easter looks like she will be early. There’s a variety of sires this year. 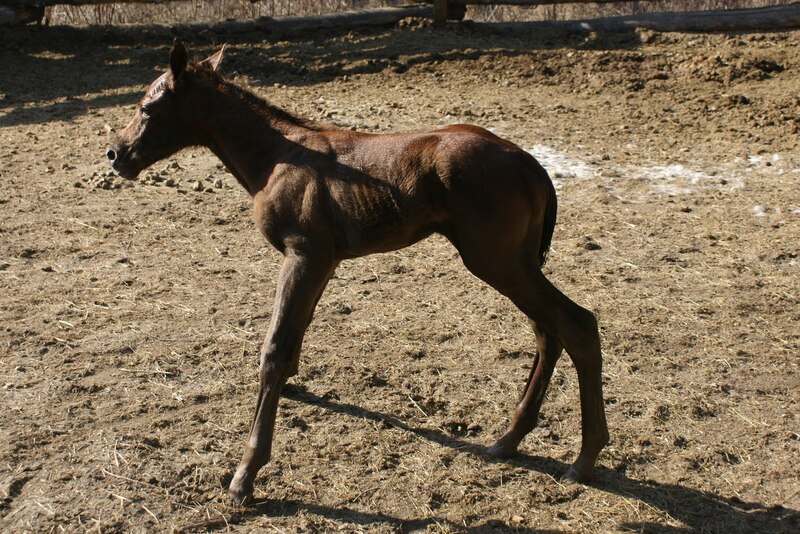 Easter and Silk are bred to Running With Wolves, Destiny is bred to Walking With Wolves (first foal for him) and Prima, my Gallo Del Cielo mare, is bred to Wimpys Little Step. There is also a possibility of four different colours – my grey mare, Easter, could have a grey, Destiny has the best chance to produce a bay (since sire and dam are bay), Silk’s almost certainly will be sorrel (she and sire are sorrel) and Prima could produce a palomino (if she does, it will be the first palomino foal I have ever had!). We’ll have to see how this plays out. Fillies or colts? I always want fillies but in Prima’s case it doesn’t matter because she has produced some fantastic stallions. I do know if it’s a filly, I will have a hard time selling, so business-wise, it should be a colt. I would like Destiny to produce a filly since it’s Little Wolf’s first but, again, I would hate to sell Destiny’s filly by Walking With Wolves. Easter has had three fillies in a row crossed with Running With Wolves. 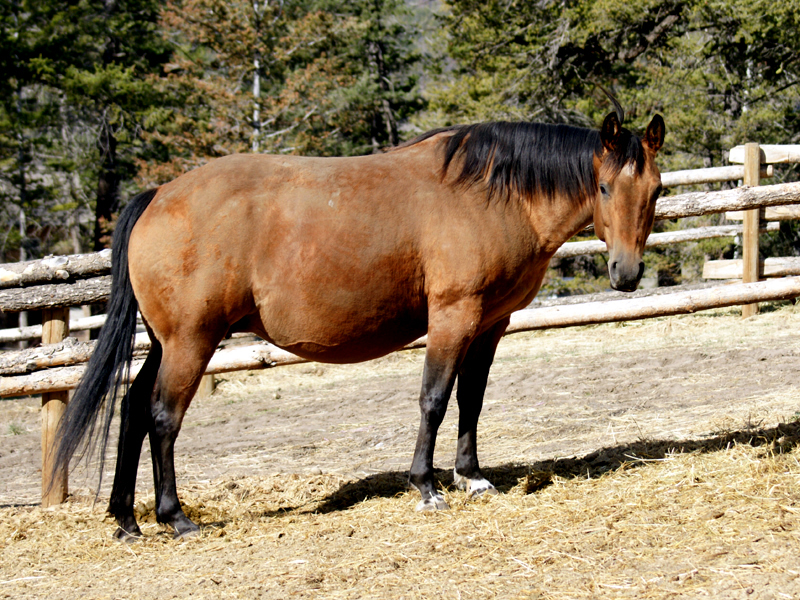 Is it her turn for a colt? And Silk, foaling in May? 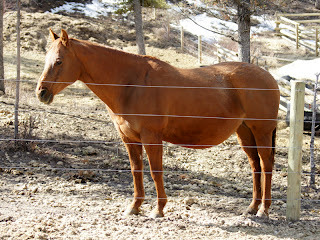 I’m betting on a colt for her since she has had a filly, Wildwood Sapphire, already. Again, I’ll just have to wait and see. It’s a done deal now and the most important thing is four healthy foals. Yes, it’s the most wonderful time of the year and I intend to reap all the rewards. I can look forward to sleepless nights and four little miracles arriving soon. It doesn’t get much better.